It would be almost impossible to find a business with stocked products that wouldn’t benefit from a barcoding system today. However, you’ll still find quite a few businesses that operate with just pen and paper or an inventory template in Microsoft Excel. The most common objection stems from the assumption that a barcode system would be too expensive to implement. Well, the great news is that not only is it actually inexpensive to set barcoding up, it’s easy too! Depending on your needs, for a few hundred dollars you could have a complete system working for you. You can even get started with a scanner and labels for under $50! 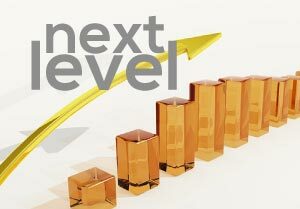 Below, we’ll discuss just why a barcoding system help grow your business and take it to the next level. You know what makes running a small business really hard? It’s the simple fact—we’re human. We all get tired and eventually make mistakes. So, how can we overcome this? Putting a barcode on an item makes it instantly readable to a computer paired with a scanner. It lets your computer do all the heavy lifting for you! On the other hand, scanning barcodes with a computer has an error rate of one in every 5,000 to 36 trillion characters scanned (depending on the type of barcode).² I would want those odds in my favor, wouldn’t you? The “official” definition of small business ranges from a business that has less than 15 employees in Australia, under 50 employees in the European Union, or under 500 employees in the USA.³ If you’re like the majority of small businesses, however, you may be the sole employee or you have less than five employees. Whatever your size, it’s never too early or too late to build an infrastructure that helps you grow. Sure, you might have just a few products now, but what happens when your inventory starts growing? By integrating a barcode system into your company sooner rather than later, you’re building in scalability. Scalability means no matter if you have one item, 100 items, or 10,000 items, the barcode system will work all the same. So now when you are adding more products, the system in place will help your company avoid growing pains. Having a barcoding system also makes training new members of your team much easier. Instead of memorizing products and product descriptions to look up items, your new team member can easily scan the product in. Nobody likes waiting. Imagine if you had to line up behind the counter at Walmart, and the cashier manually keyed in each item a customer purchased. You would not be a happy customer having to wait for that long of a time. Barcoding allows you to process your inventories much faster than any other manual method. It will free up a good amount of time, which you can otherwise spend doing what you love. Imagine this scenario: A customer comes into your business and wants to purchase a basket full of items. You stand there at the cash register and have to look at each item individually to make a tally. Sure, you can get by using this method, but doesn’t it look more professional to be able to scan each item in and have a computer do the math? Not only will you be more accurate and efficient by using a barcode system, but the customer also gets a better impression that your business is a professional organization. While this may seem insignificant on the surface, from a marketing standpoint any first impression can be a lasting impression. How about the big picture? If you would like to know just how you can implement barcodes and barcode scanner into your small business, download your copy of “Barcode Your Small Business” today. It will give you a complete picture of how to set up an entire system (and for much less than you expected too). For example, you’ll learn where to buy barcodes, a scanner and even UPC’s all for under $50. 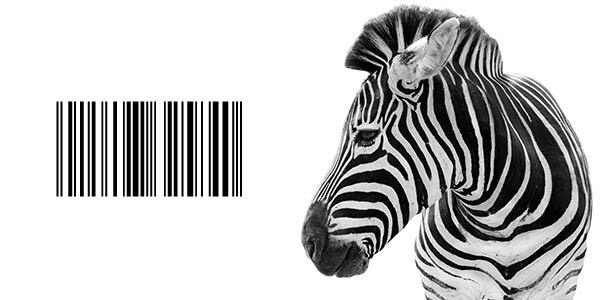 Have a question on how to use barcoding for your business? Leave us a comment below. Looking for the world’s easiest to use barcode scanner? We now sell barcode scanners! 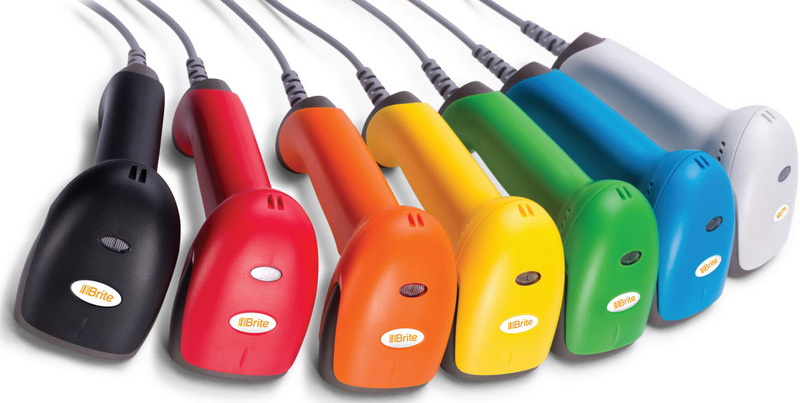 The Brite USB barcode scanner comes in your choice of 7 different colors and simply just works! It’ll scan almost all 1D barcodes such as UPCs, EANs, Code 3 of 9, Code 128 and much more. Simply plug it in and you’re good to go! Comes with a full 60 day money back guarantee and full no hassle 1 year warranty. You’ll love using it in your business! Visit www.inflowshop.com to check them out now (on sale for a limited time). 1. Mathias, MacKenzie & Buxton  10 touch typists averaging 58 words per minute (WPM) with a 4% error rate per keystroke. Matthew Kostanecki is speaker, author, and active contributor to the small business community. He leads the marketing and business development for inFlow Inventory. is it possible to put different bar codes in 1 item? Hi Anne, I’m sorry we missed this one, but in case someone else has the same question: yes, you can currently place several barcodes on a single item. I am a free lance graphic designer, I’ve read your article and i find it good. I want to know if bar-coding system can work for me as well. Like i said i am a graphic artist and i have nothing to sell as an item which is physically exists. I designed things for people and they pay me for that. So if i set up a bar-coding system for my work, will it work for me ? and if it does, then i want to know how ? I hope to hear from you on this subject soon. In general, I’d say barcodes are useful for attaching to physical products, or for quickly adding services from checkout. For a freelance designer, I’m guessing a lot of your interaction with your clients is by phone or email, so I don’t think barcoding your products would help to speed up your particular business. However, if you ever switch to a business where you interact with people in person and need to create sales orders or invoices quickly, barcodes could help then. Can patients consultation data, pharmacy data (medicines prescribed and purchased) be recorded through barcoding. Hi Girish, theoretically that kind of data could be embedded in a barcode, but not all at once. For example, if you created a barcode that symbolized a patient name and their currently prescribed medication, if that medication ever changed, the barcode would have to change as well. What might be more productive is to barcode a particular pharmacy order, so that you could scan that barcode and quickly see who the order was for, and what was purchased or prescribed during that session. I wish I could help you further here, but our software (inFlow Cloud) currently only ties barcodes to the Item Name field. I think you’d be looking for something that’s more specialized for pharmacy, and I don’t have any helpful sources for you at the moment. My name is Andrea, I am with Superior Labs, Inc. I have questions regarding a barcode and scanner for our company. Could you please call me so I can ask more detailed questions. 501-520-1755, or 501-525-6688. Central Time. Sure Andrea, I’ve forwarded your message to our support team and you’re in our queue for a call. We’ll talk to you soon! Hi Edgar, thanks for getting in touch! Sorry, we don’t have any branches in Cape Town. Our offices are currently located in Toronto, Canada. Good Morning. I have a small business . I buy used tyres and re-sell them. I do not have proper control over them. Can you advice as to how I can use barcode and scanner as control measures. I will apreciate your assistance. Sorry Amey, looks like you visited the site before it was fixed. I can confirm that our link at barcoding.inflowinventory.com works now, but I’ll email you a copy so that you don’t have to sign up again. Yes, inFlow Cloud can help you create a list of products from right within the app. Or if you have one ready in a spreadsheet, you can import that and set up a list much faster. Regarding barcodes, you can import those along with your product list, or have inFlow Cloud auto-generate unique barcode numbers for each of your products. How hard do you think it is to implement the software (time wise and human work ) in the 11 offices? would one sistem work with capture 1 software? Hi Gerardo, thanks for getting in touch! You could use a system like inFlow Cloud to track inventory at 11 different offices. The idea there would be that each office would be a “team member” on the company account, so everyone could see and share inventory levels. As for your workflow, I think we’d need to hear a bit more about it what you’d like to track specifically — is it more about inventory levels or is it about tracking whether work has been done? inFlow can do both of those things, but you’d use different features depending on the task. As for implementation with Capture One, I’m afraid that isn’t something we offer now, and to be honest it’s not on the radar right now because that’s very photography/editing-specific software. I’ll reach out via email to make sure you see our reply and to ask more about how inFlow can help. I own a small business in the US. We import products and resell these. We have one vendor who uses a EAN barcode for these products. Can we use their barcodes or do we have to develop our own barcodes? We want to track our inventory for retail online sales and point of service. We also sell wholesale so need to track all of our inventory. Hi, we have a shipping business and passengers have cargoes for their shops . if we have barcodes on their boxes and bags of rice and flour. will this work too? Hi Iva! I think we’d need a bit more detail to provide a helpful answer. Would you mind reaching out to us via chat? It’s in the bottom-right corner of the screen and we’re online from 10am–6pm EST on weekdays. If email works better, you can reach us at support@inflowinventory.com. Looking for a user friendly system to track inventory in a student base enterprise store at my school.